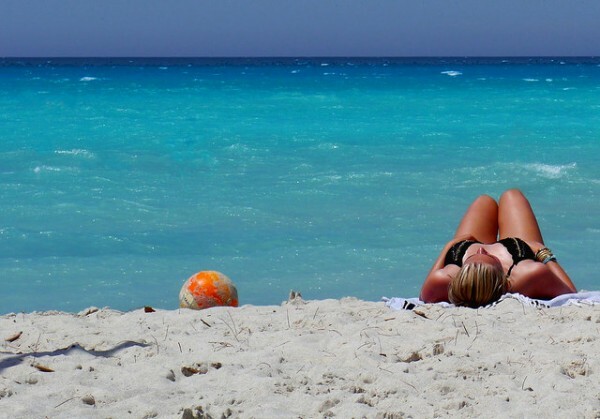 What would you give to be lying on a beach right now? We don’t know about you, but the recent cold weather has got us thinking about swapping our scarves for swimwear and a mug of hot chocolate for an ice cold pina colada. If, like us, you’d like to get away for a spot of winter sun, we’ve rounded up some of our favourite Mediterranean destinations that are famous for their beaches. 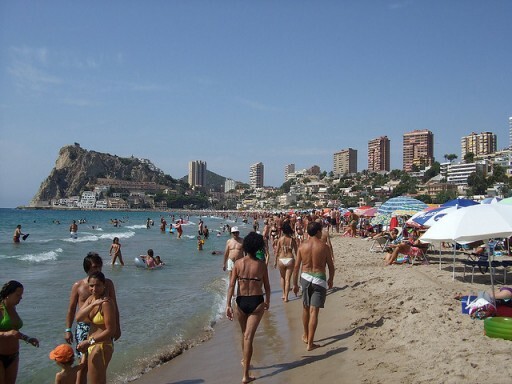 Forget about peace and quiet, Levante beach in Benidorm is all about the lively atmosphere. If you’re one of those people who can’t keep still on the beach, there are plenty of activities to choose from including jet skiing, scuba diving, swinging bridges, rafts and slides that will keep you busy throughout the day. The beach is also great for kids and even has plenty of colourful meeting points so they don’t get lost! Staring at your Kindle all day can sometimes get a bit tiresome, but luckily there’s plenty to look at on Blu Lagoon beach in Olu Deniz if you do want a break from the latest bestseller. The beach is said to be one of the most beautiful in Turkey, and with clear waters and a nice looking promenade, it’s hard to disagree. 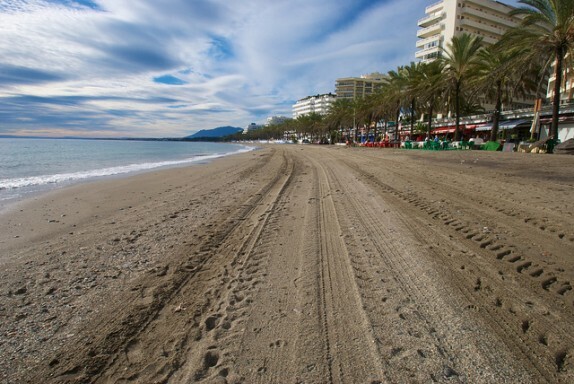 Despite its name, the Golden Mile in Marbella actually stretches for four miles. Nagueles Beach is one of the most popular beaches along the Mile (or four), especially for families, with various water sports such as jet skiing and windsurfing available. You can even hire a pedalo if you’d like to show Freddie Flintoff how it’s done! After a hard night of partying, we all need somewhere to relax during the day – and Nissi beach certainly fits the bill. As the most famous beach in Cyprus, it is THE place to hang out with plenty of beach parties and live DJs in the summer months. 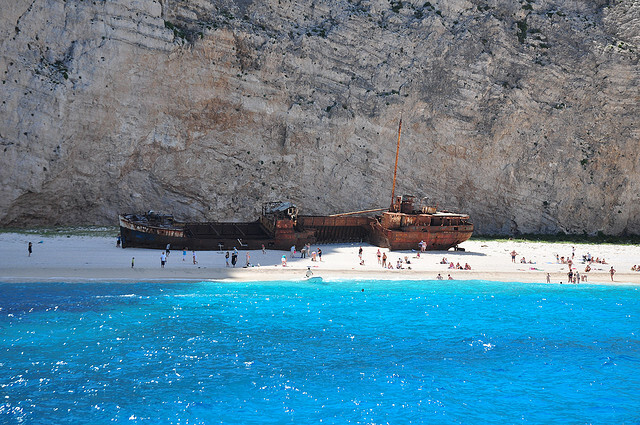 Fancy sunbathing on a beach that has its very own shipwreck? There are few beaches more fascinating than Navagio beach in Zante, which gets its nickname from the shipwreck of a boat that was washed ashore in 1983 – and is still there now. You’ll need to take a taxi boat to get here but this just adds to the charm of the place. 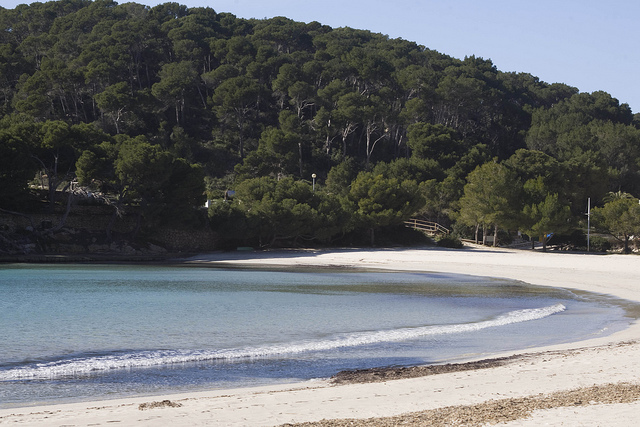 Cala Galdana beach in Menorca is another unique location to top up your tan. The horseshoe-shaped beach is surrounded by spectacular cliffs and woodland and there are also plenty of opportunities to go snorkelling in the clear waters here. Have you been to any of the above beaches? Let us know which one you like best! Images: Melanie Feuerer, Darren Wilkinson, Marcia Taylor, Peter & Michelle S, CTO Zurich, Craig Morey & Prinsotel Hotels via Flickr.